An opportunity to meet Canadian Institutional limited partner investors from the largest Insurance companies, and Pension Funds as well as high net worth individuals and heads of family offices. A forum to exchange ideas and strategies with Canadian investors, other U.S.-based fund managers, and policy-makers from both Canada and the United States. I thought the Trade Mission was one of the most unique fundraising assets I’ve ever seen. The ability to have 50+ warm leads provided over the course of 1 day is phenomenal. It would have been impossible for our fund to have done anything like this ourselves and I doubt any financial service organizations could have provided a stronger group. I would highly recommend the Trade Mission, not just because the quantity of potential investors but the quality of investors. Nicholas P. Katsepontes has over 25 years of legal and business experience providing counsel and business advice to shipping, biotechnology, and hi-tech companies. He started his legal career in Halifax, Nova Scotia in 1988 where he practiced shipping, marine, and corporate law for an established law firm. He moved to Ottawa in 1992 to serve as a Special Advisor to the Ministry of Foreign Affairs and International Trade (DFAIT) providing strategic and legal advice in relation to Canada’s maritime and fisheries law and policy. He has worked and published papers in the areas of law of the sea, fisheries management, ship registrations, and oil and gas development in closed seas. He is a Co-Founder and acting CEO and President of Axios Investments Corporation. He has also served as VP Investment Banking and Legal Counsel of an Ottawa based boutique investment bank; as Vice-President Corporate Affairs and Legal Counsel for JSS Medical Research Inc., assisting that company in its corporate reorganization as well as acquisition and merger strategies; as a director of a number of leading edge technology companies including SWIX (corporate metrics); and as an early advisor and legal counsel to Jaded Pixel Technologies Inc./Shopify a leading Ottawa based E-commerce Company. 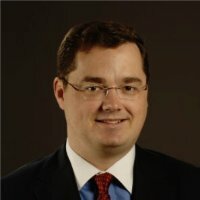 He holds a Bachelors degree in Economics from Dalhousie University, undertook graduate studies in international economics, holds a Bachelor of Law and Master of Law (shipping and trade law) degrees from Dalhousie Law School, and is a member of the Nova Scotia Barrister’s Society as well as the Law Society of Upper Canada. Aaron Vale joined CBRE Caledon in 2014 as part of its infrastructure investment team. He has extensive experience evaluating infrastructure and energy opportunities, as well as with asset management of private market investments. Before that, he was engaged to structure and raise an independent Mexican infrastructure and energy fund, and was a member of Macquarie Bank in a variety of roles. From 2010-2011, he worked as part of Macquarie’s investment team in Calgary, where he evaluated more than 200 energy opportunities. From 2009-2010, he was part of the team in Mexico City that successfully launched the Macquarie Mexico Infrastructure Fund, raising more than $400 million. From 2007-2009, he worked with Macquarie’s infrastructure asset management teams in Toronto and New York as part of its toll road group. He is a CFA and CAIA Charterholder. He received a Master of Finance with Distinction from INSEAD and Bachelor of Commerce with Distinction from McGill University. CBRE Caledon was organized as Caledon Capital in 2006 by David Rogers, the former head of the private equity group of the Ontario Municipal Employees Retirement System (“OMERS”) pension plan and member of the Board of Directors of the parent company for OMERS’ infrastructure investment arm, Borealis Infrastructure. Since inception, CBRE Caledon’s business has been focused on providing customized portfolio management services via separately managed accounts in infrastructure and private equity. CBRE Caledon’s business has grown in the last 10 years and the number of clients has increased to 15 while the team has expanded to 40 people. CBRE Caledon manages or advises on over $10 billion of infrastructure and private equity assets. CBRE Caledon operates as a separate business unit under CBRE’s investment management subsidiary, CBRE Global Investors. CBRE Global Investors is one of the world’s largest real asset investment management firms with over $100 billion in assets under management. Meir Cohen has been in the investment industry for over 20 years. He co-founded a multi-family office which was subsequently sold to a foreign financial institution. He then founded BSP Funds Canada Inc., the Canadian operation of a global hedge fund, which he now manages. He has his MBA from Schulich School of Business and has the CFA designation. He lives in Toronto with his wife and four children. A veteran of the United States Air Force and graduate of Central Florida University, BS Finance, Brian’s private sector career began at International Assets Advisory as a Registered Representative (Series 7, 63, 65, & FL-215). After some years at the boutique firm, he joined the U.S. Department of State, Office of Foreign Missions – USUN. Where his focus was diplomacy and national security. 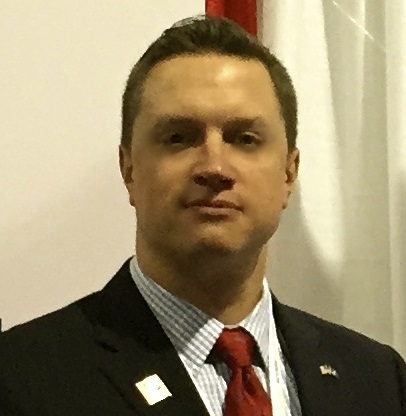 Brian joined the U.S. Commercial Service in September 2013 as an International Trade Specialist for the Northern New Jersey Export Assistance Center. He counsels U.S. businesses that wish to begin exporting or increase their exports throughout the global marketplace. He is the area sector coordinator for financial services and energy to list a few. Lastly, he is the Deputy Team Leader for USCS’s Global Finance Team where he leads the financial services subsector. He was born and raised in Northern New Jersey, has lived in Germany, France, and Bosnia, and traveled to 23 additional countries. 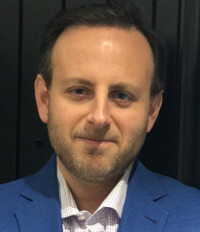 Prior to CAASA, James was the Chief Operating Officer of AIMA Canada where his team of three worked with 12 committees to produce 50-60 events per annum across Canada, organize 100+ committee meetings, and increased member numbers over his 7-year tenue from 66 to 164 corporate member entities. James currently sits on the Canadian Investment Funds Standards Committee (CIFSC), which categorizes mutual funds and alternative mutual funds (aka liquid alternatives) for the retail space in Canada. He is also called upon by membership and industry groups to speak to risk ratings and portfolio placement of all types of alternative investments. 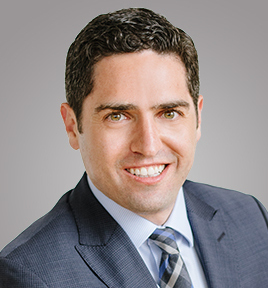 James also has experience in research and writing for the CAIA Association (holding the designation since 2006) as well as serving on CAIA’s exam council and as a grader for the Level II portion of the exam. He had roles in institutional sales and FoHF structuring in Seoul, South Korea, as a Product Manager at ICICI Wealth Management, and as an Investment Advisor at RBC Dominion Securities. James graduated from Simon Fraser University with a BBA (Finance). Caroline is Vice President and co-founder of CAASA. She works closely with members to establish and grow the association’s initiatives both within Canada and abroad. 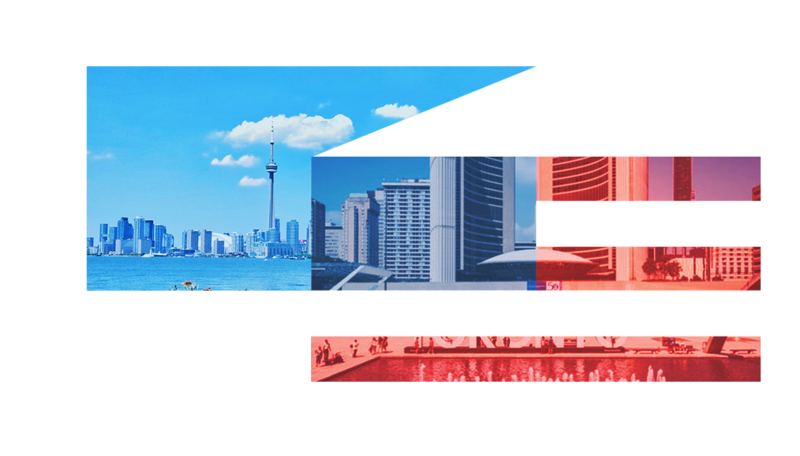 Caroline works to serve a diverse range of alternative asset and strategy investors, managers, and service providers, including areas where Canada is a leader such as digital assets / blockchain and robo-advisors. She believes that Canada has a solid, growing market of its own with a strong part to play in the global financial landscape. 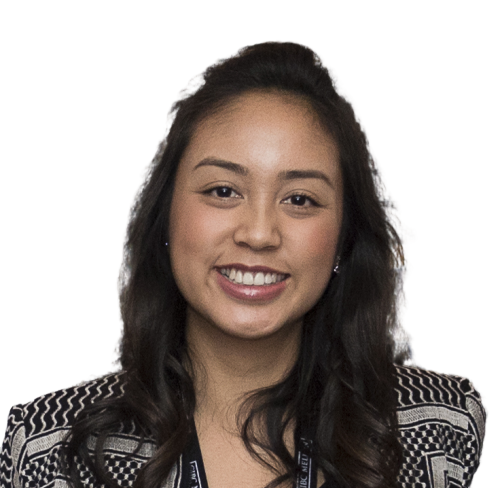 Previously, Caroline spent 5 years at AIMA Canada, during which time corporate membership and events numbers doubled and committee and community engagement grew significantly. Caroline currently sits on the Canadian Investment Funds Standards Committee (CIFSC), which categorizes mutual funds and alternative mutual funds (aka liquid alternatives) for the retail space in Canada. She is a graduate of the University of Waterloo, with an Honours degree in Economics, finance specialization, and has completed the Canadian Securities Course (CSC). Canada is the one of the largest investors in the U.S., and has invested billions of dollars with U.S. alternative investment managers since the 2008-9 financial crisis. For example, see the Foreign Investment Survey (2010-2014) from the Association of Foreign Investors in Real Estate (AFIRE). These large pension funds all invest across the full range of alternative investments, and are leaders in investing globally. Total Canadian pension fund assets are ~10% of total U.S. pension fund assets; However, the vast majority (>90%) of Canadian pension fund assets are in Defined Benefit (DB) Plans, with the balance of pension fund assets (<10%) in Defined Contribution (DC) Plans. See the Canadian Institutional Investment Network’s Chronicle: An Overview of Pension Plans in Canada 2015. See the Pension Investment Association of Canada’s Asset Mix Report for both DB Plan Sponsors and DC Plan Sponsors, respectively. The small-sized DB Plans (and most foundations) have been slow to diversify into alternative assets, but recognize the need to do so. See this overview by Greenwich Associates on Canadian Institutional Investor Dynamics from 2004-2014. 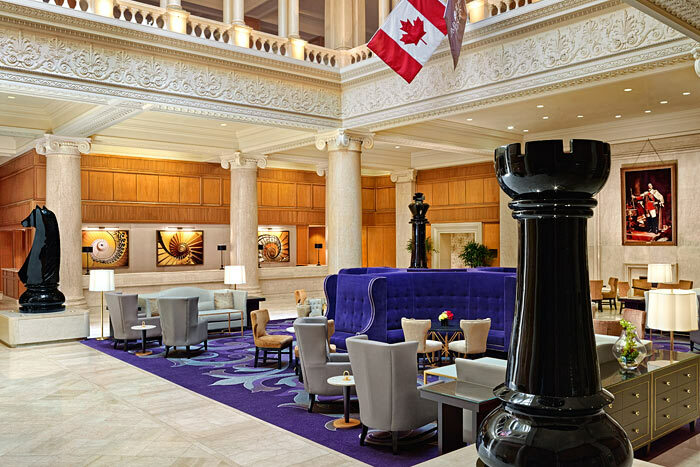 Overnight at the deluxe Omni King Edward Hotel, 37 King St East, Toronto, Ontario, MSC 1E9, Canada. Members of the US delegation will meet in one-on-one meetings with investment professionals from Canadian institutional investors and family offices. Complete Conference program including one on one meetings arranged with Toronto’s leading institutional investors.